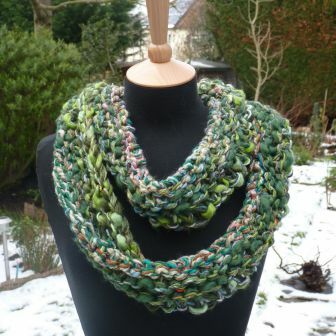 Claire is a knitter, weaver and stitcher who loves to create and to use textiles as a medium for art. 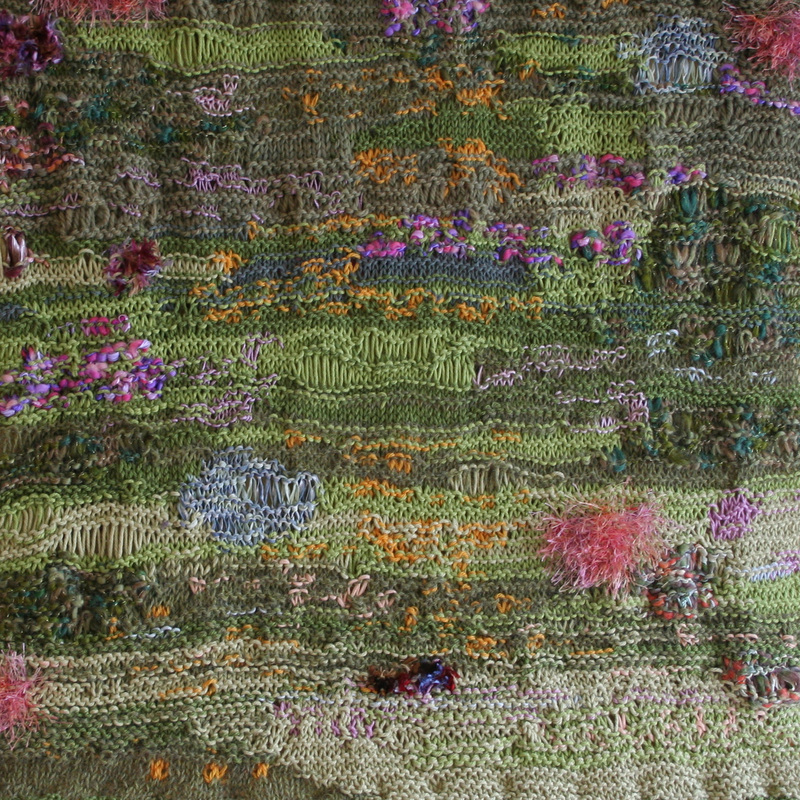 Claire learnt to knit and stitch as a child and has created with textiles on and off throughout her life. 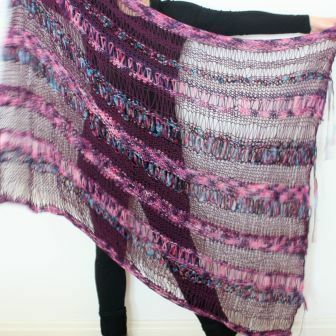 Claire knits without a pattern using a freeform style to explore colour and texture. 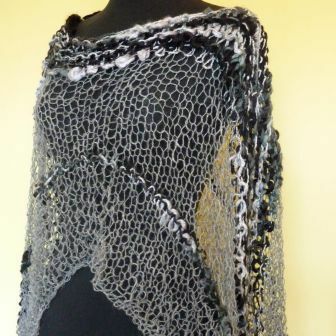 She knits art, landscapes, garments and multi-purpose pieces. 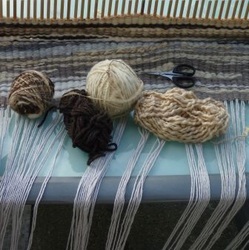 Weaving is mainly done on a pegloom, a simple traditional loom. 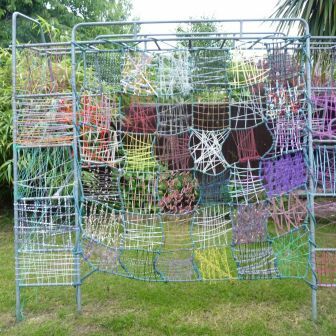 Claire also loves to weave outdoors on structures such as pallets, and frames including a climbing frame. 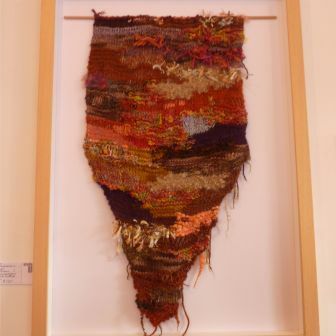 Claire finds her inspiration from the environment, both natural and built, from everyday objects and from other artists. 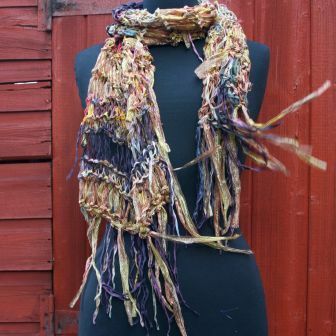 Claire enjoys working with found objects and upcycled materials in textile art. She is passionate about creativity as a way for people to relax and to enjoy themselves. 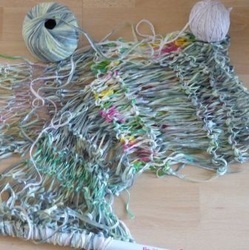 Claire loves exploring new ideas for creating and enjoys sharing ideas with adults and children. 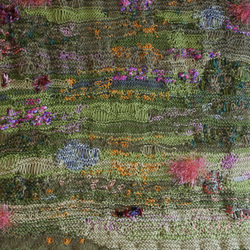 Claire has experience of working with children and adults using a range of creative techniques in different settings. Claire runs pegloom weaving, stitching, upcycling and freeform knitting workshops in various venues in South East London and Kent. Claire is the co-ordinator of the Craft Club at Turner Contemporary Gallery in Margate, where volunteers teach pegloom weaving, crochet, knitting and finger knitting. She also teaches for Craft Club in other venues including the V&A museum.